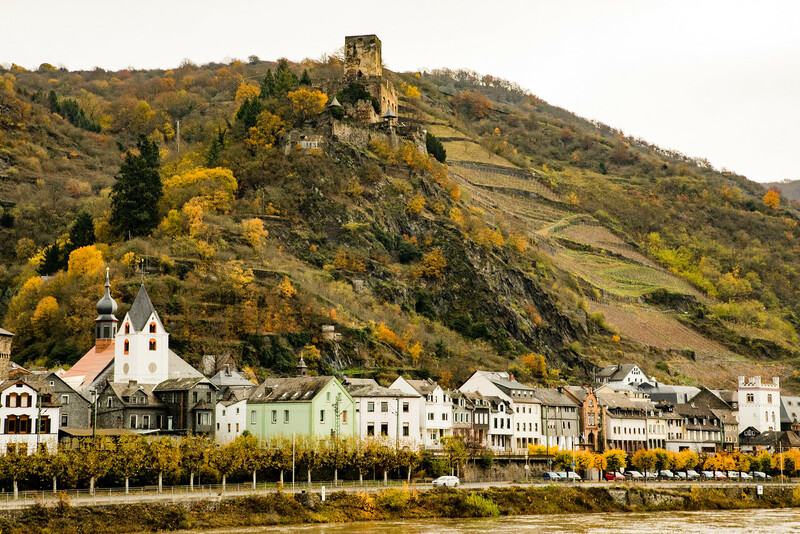 This morning we entered the Rhine River and spent time up on the sun deck, taking in the views – hillside castles, steeply terraced vineyards, forests and charming towns with half-timbered houses. 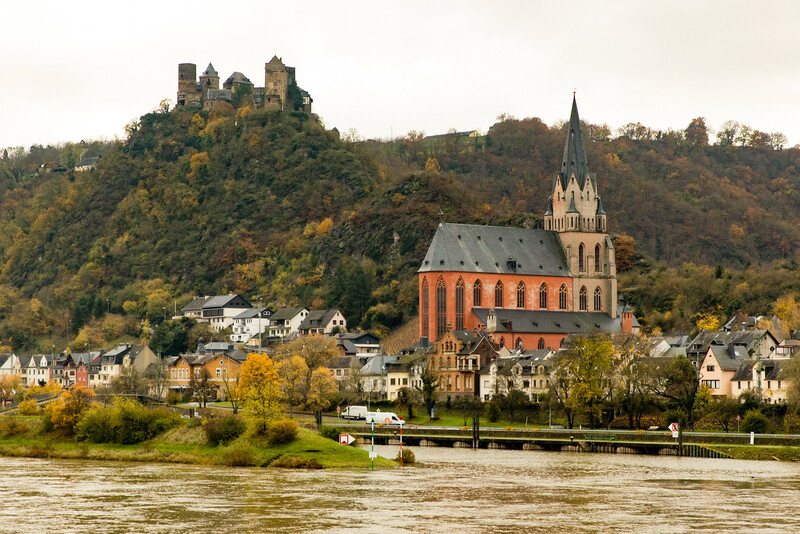 This stunning region in the Upper Middle Rhine River is now a UNESCO World Heritage Site. 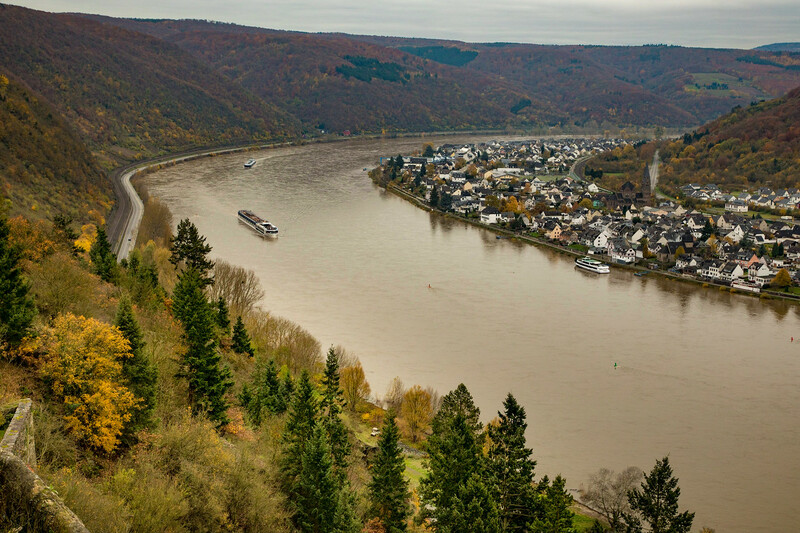 The 65 km stretch, from Rudesheim to Koblenz via the Lorelei Rock, is punctuated by some 40 fortresses and castles that have been built over a period of 1000 years. Wars in the 16th century left many of the castles in ruins, but in more recent times, some of these have been bought and converted into hotels. On the steep vineyards, which lines the river, harvesting is still carried out by hand, and the region is well-known for its Riesling. It’s a little sweet for our taste though. As we enjoyed lunch on board, our ship moored in the small town of Braubach, so we could visit the beautifully preserved Marksburg Castle (www.marksburg.de), a 700-year-old fortress located on a hilltop. As the castle can only be visited as a part of a guided tour, we decided that it would be a good idea to pick up our QuietVox from our cabins and join in today’s included excursion. So at 2.45 pm prompt, we set off on Viking buses up to the castle. 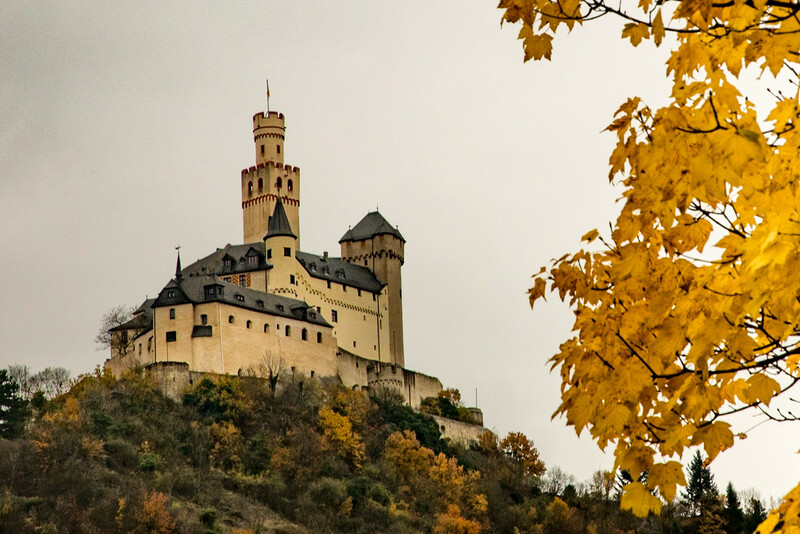 Marksburg Castle is the only castle along the Rhine to have never been destroyed. It has survived conquests, Napoleonic rule, although it did receive some slight damage during World War II, but, through all this, it has been continuously lived in for the last 700 years. It’s a fun place to wander around, I couldn’t believe how tiny the bed in the main bedroom was, but apparently, in those days they slept upright because only dead people lay flat!!! 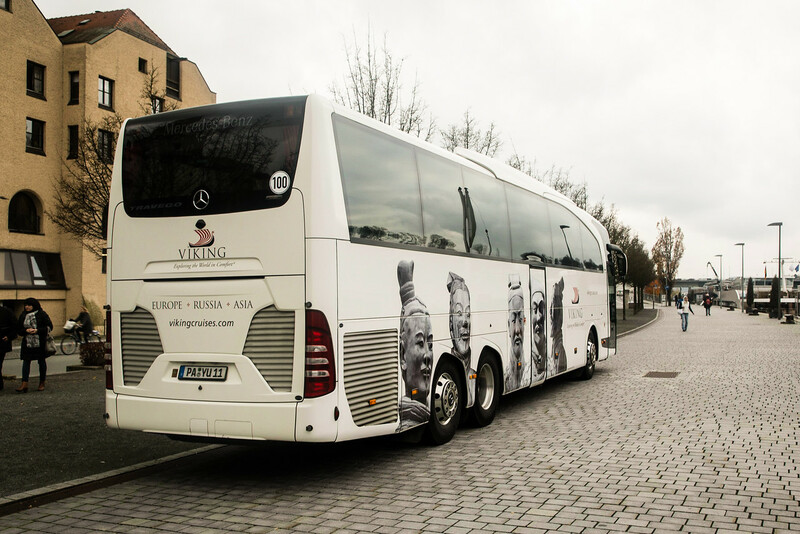 So, after exploring the castle, the grounds and of course, a torture chamber, we reboarded the bus and headed back to the ship which had since moved on downriver a little bit to Koblenz. Before dinner, there was a presentation on the ‘ Mysteries and Truths Behind Castles in the Rhineland’ by guest lecturer, Mark Holzheimer. It was very interesting, if only I could retain new information for more than five minutes, I’d be a genius. That evening as a change from the usual style dining, there was a German buffet with bratwurst, schnitzel and sauerkraut. The food was excellent, but the time we remembered to take photos, the food was already inside us. As we weren’t sailing till late, we planned to go into Koblenz, but it was dark and cold, and with too much food and wine inside us, it made us lethargic and too lazy. So we just joined in that evening’s entertainment on board before retiring to bed.